Whether you’re prone to yearly common colds or suffer from allergies, an air purifier is your best friend during those congested days. Particulates permeate the air, causing respiratory issues for millions of people. Although purifiers and humidifiers have been around for decades, manufacturers are beginning to add in smart features. WiFi and smartphone connectivity are just some of the features available with these early pioneers of smart air purifiers. This purifier practically thinks for itself. When your smartphone is within Bluetooth range, the appliance accesses local allergen reports through the device to decide if activation is necessary. It will constantly ping for this information to keep the home’s allergen levels controlled automatically. A major drawback to this idea is the Bluetooth limited range. Even the best air purifier can’t have all the features. If you leave the house, for instance, the purifier won’t cycle on unless you add a timer to it. However, it does detect when you arrive home according to signals with the smartphone. You’ll hear the purifier working its magic the moment the front door closes. Use your phone to also access critical appliance reports, including filter alerts. You’ll never forget to clean or replace the filters with this smart purifier cleaning the air. This smart appliance goes above and beyond the Bluetooth connection and incorporates WiFi. Because most technologically savvy people have WiFi at home, this purifier takes advantage of that connectivity to increase communication range. You aren’t limited to Bluetooth’s range of about 30 feet without obstructions. 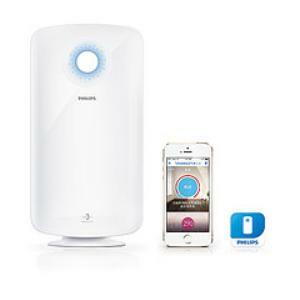 Control the purifier from the bedroom or even from the office. If it’s a particularly smoggy or pollen-filled day, turn the purifier on at work to arrive home to a clean breathing environment. This model even monitors both outdoor and indoor air quality levels. If the interior has more particulates than the outdoors, the purifier activates to lower breathing contaminants. Philips also offers cleaning alerts to owners to ensure the appliance works at peak levels, especially for those with respiratory issues. Accessing all these features through a handheld device makes this purifier perfect for busy households. Although this appliance isn’t a purifier, it has smart capabilities for a top-of-the-line humidifier. Except for filling the water tank, this humidifier is relatively self-sufficient. Connect to the appliance using a WiFi connection. It even has its own app as a control panel. The room’s humidity levels are available through the app, allowing you to adjust the percentages as necessary. There are function alerts for both the water and filters so the humidifier will almost never stop working from neglected maintenance. Although controlling it manually is part of the fun, Holmes also provides scheduling features from your smartphone. Set it for certain hours to arrive home to a comfortable interior, for example. 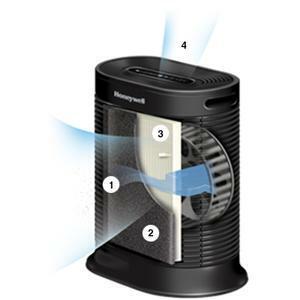 Humidifiers allow you to control indoor moisture to keep skin moisturized and allergen levels controlled. Moist air keeps allergens down compared to dry air, reducing indoor allergies for sensitive people. 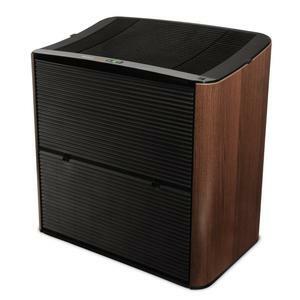 Choosing between these innovative products is difficult so laying your hands on them is crucial to make the final decision on the best air purifier. Try your smartphone or tablet with these purifiers to understand the ease of use. 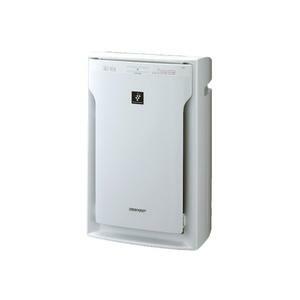 Your home will feel more comfortable the moment the purifier switches on.